Web monitoring is a process of checking the performance of the website. With the help of which you can know the uptime and downtime of your website. If the performance of your website is inconsistent and inappropriate, then you need to take immediate action to resolve those issues associated with it. Because it affects your online reputation, search engine ranking, loss of customers, loss of sales etc. The primary function of site monitoring is to ensure that your customers are able to access the site and perform actions like searching, researching, reading, online shopping, checking account balance, etc. In this post, we’ll discuss the functions of website monitoring. Local and Global website monitoring: Website monitoring can be done locally as well as globally. It depends upon whether your website is designed for local or global. If your site is meant for global audience, it should be accessible from any location across the globe. Global site monitoring helps you to track the performance of your site through multiple servers positioned across the globe.The test monitoring stations ensure the availability of webservers over various networks and even they alert you about the performance of your website and whether it facing uptime or downtime. Based on that, you can take a quick step to resolve the issue before it becomes a serious problem. Tracks on the issues in web servers and routers: Website monitoring tracks the issues associated with the web servers and routers in any part of the world. Because sometimes, the router get missconfigured and they might block the internet access to IP addresses of some regions. These monitoring stations alerts you by sending the information about this issue along with its root cause. Immediate error notification: Website monitoring tracks the performance of your website whether it is going uptime or downtime. Based on this, it generates reports and sends to you. Whenever any part of the system fails or goes down, it immediately notifies you in the form of e-mails, SMS or RSS feed. This helps you to resolve the issue at the earlliest. Evaluates the performance of the website: Website helps you know the performance of your website in different location. This is because its performance may vary from one location to another. In some location, your website is uptime and in some other place, it may face downtime. Therefore, your site hosting company provides information on the performance of your website in different geographical regions. This helps you take appropriate measures to resolve the issues. Detects the website defacement: Website defacement is becoming a common threat to the website business owners. The reason for the defacement might be hacking. Hacing damages the appearance of the website. 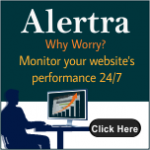 Website monitoring alerts you to regain the access on your website.